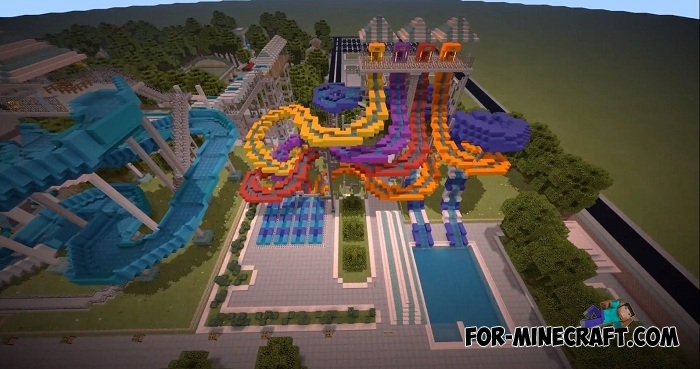 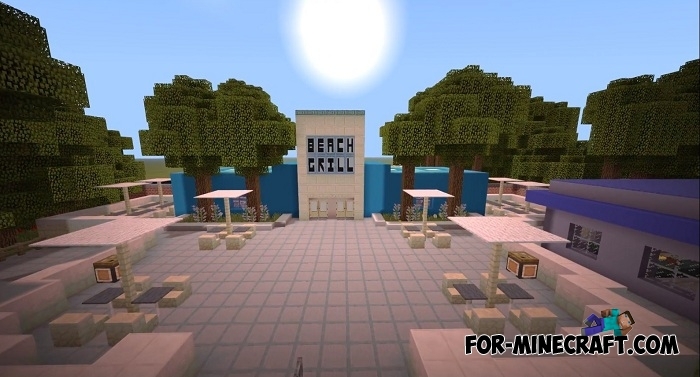 Spend your time in a colorful water park playing the latest version of Minecraft PE. 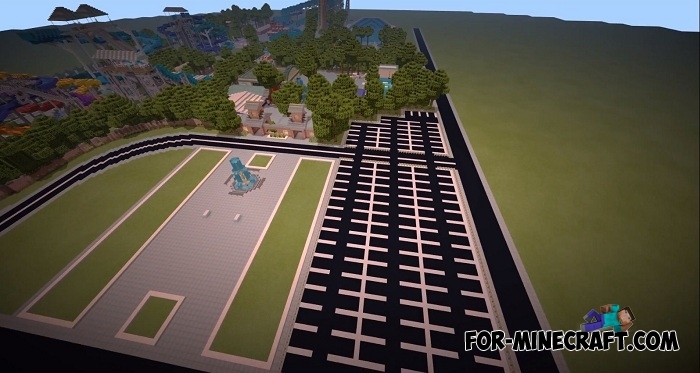 The whole area is fenced and executed in a square form and so you can easily cut out the entire park and insert it into your map. 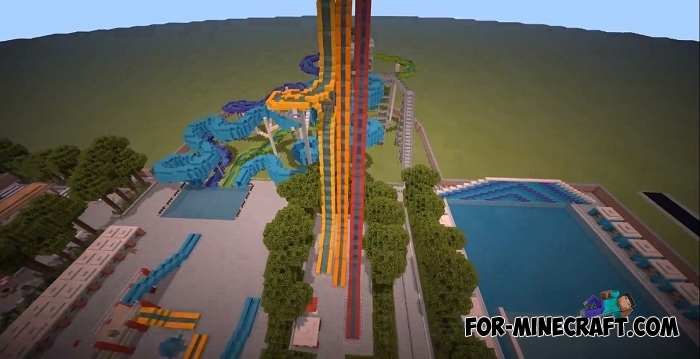 As for water slides, they are built as realistic as possible, but not all allow you to ride so fast. 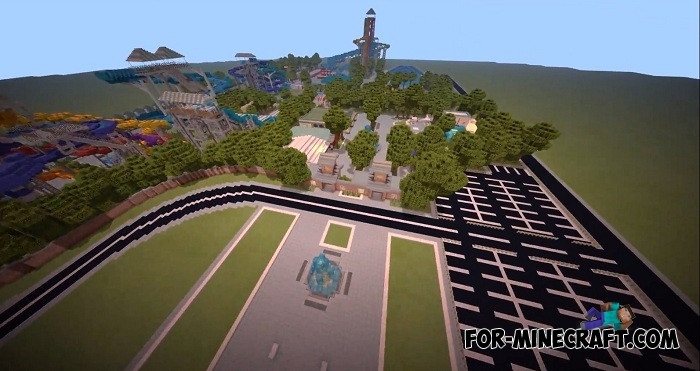 Works on Minecraft PE 1.9. 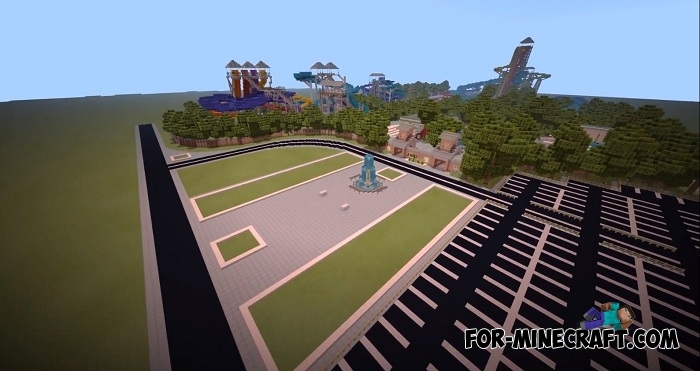 For your specific purposes, you can complete or improve some objects by adding more mechanisms. 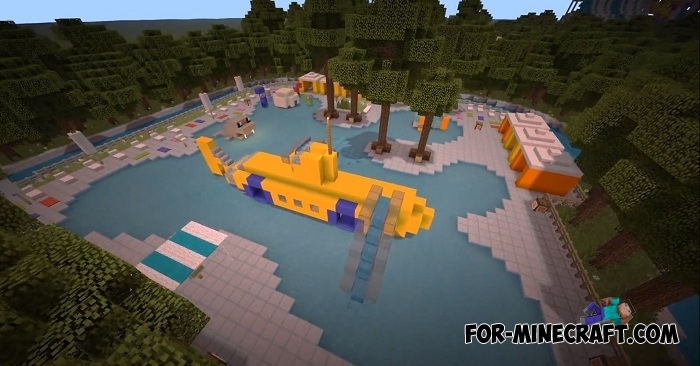 Also do not forget about the water content that was presented in MCPE 1.5. 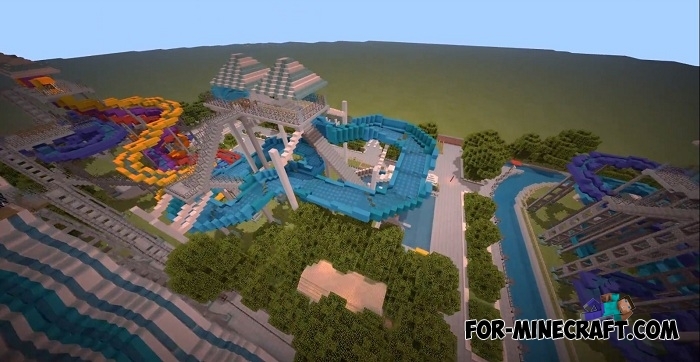 Well, in the end there are not so many realistic water parks so download Notch's Soak City and enjoy. 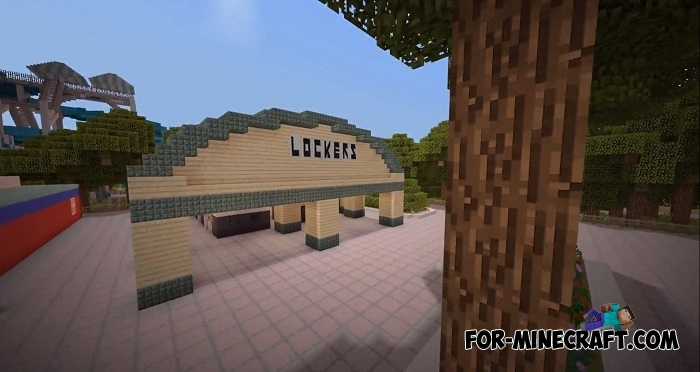 Herobrine And Notch addon (PE 1.0.X-1.1)I'm sure some players are no longer interested in add-ons that add animals or transportation..